How to make Instant Mango pickle recipe in home? Instant Mango Pickle goes well with Curd rice, Chapati, Aloo paratha ect., In Tamil we called it as Mangai urugai. 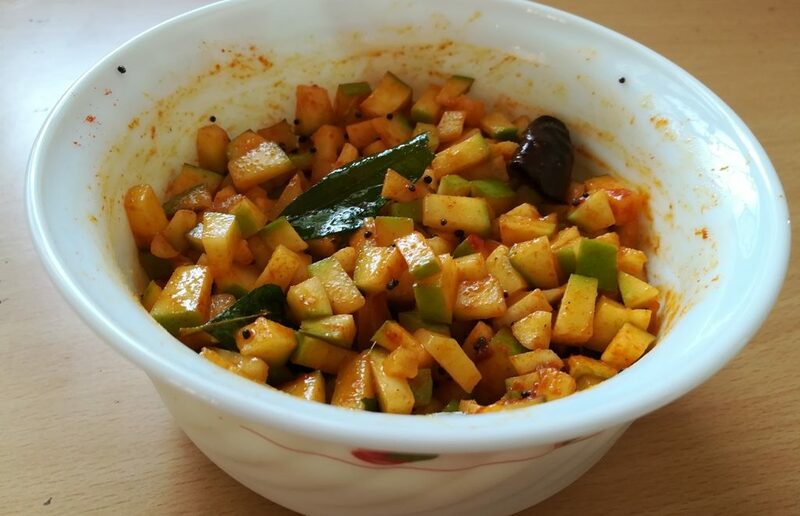 Here i’m sharing typical south Indian Style Mango pickle recipe preparation steps.